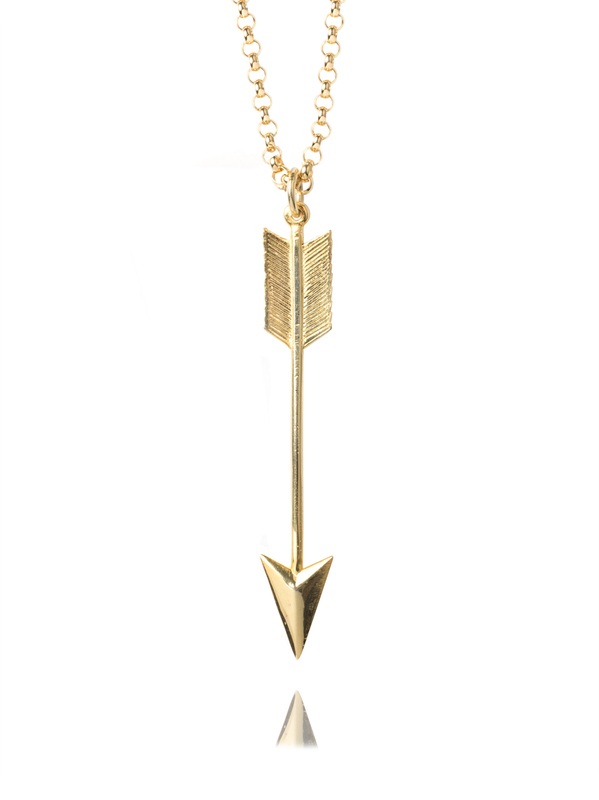 Give fashion basics attitude and edge with this awesome gold arrow necklace. Team with leather or lace, denim shirt of dinner jacket to instantly emit a spirited rock n roll vibe. The large gold plated arrow measures 6cm in length and hangs on a fine gold 80cm chain. The chain measures 0.3cm in width and is made of sterling solid silver that has been plated with 23.5KT gold.